In William Gibson’s latest book The Peripheral, he describes 22nd century London. Beyond the ubiquitous nanobot assemblers, the cosplay zones, and the puppet-like peripherals—Oxford Street has been turned into a greenway. 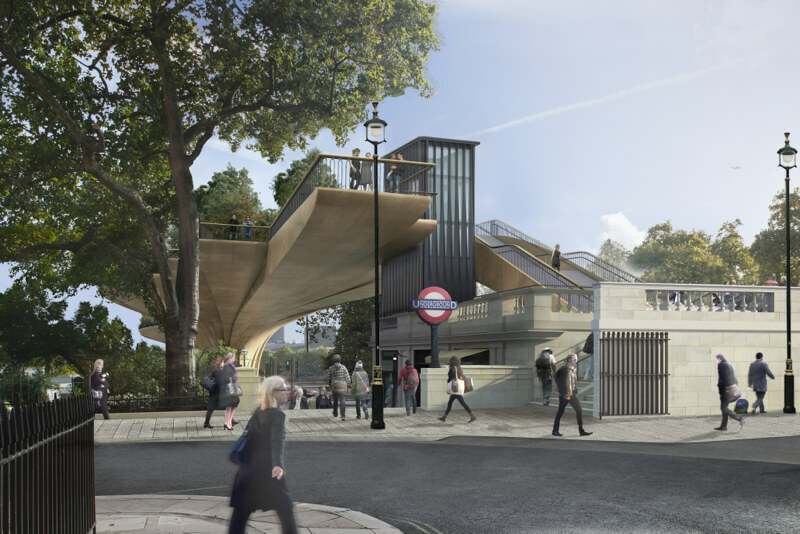 Well, as it happens, London already has plans in place for a bridge from that future. 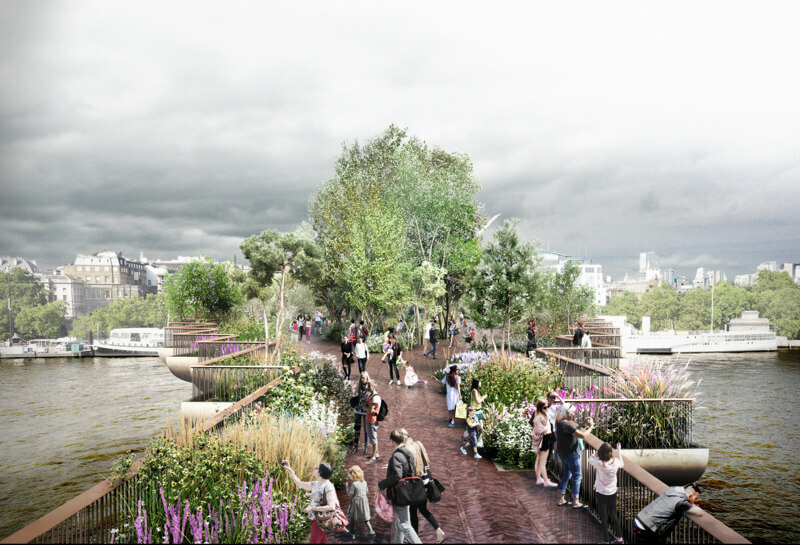 Garden Bridge is a planned greenway over the Thames. Construction begins next year, and it’s scheduled to open in 2018. 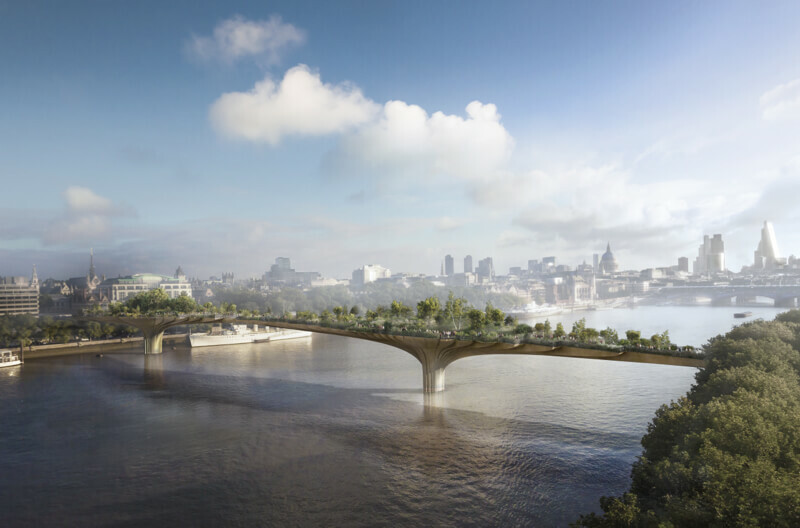 In the newly released final designs (below), we see a bridge spanning the iconic river, juxtaposing views of classic sights like St. Paul’s Cathedral against the more futuristic skyline to the east. 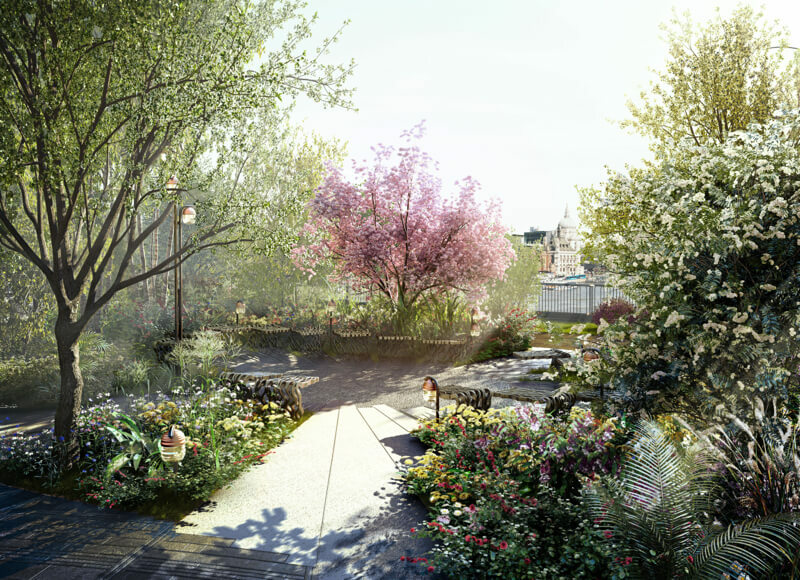 The bridge itself features dedicated planting area of 2,500 square meters that will include 270 trees, 2,000 shrubs, hedging plants, and climbers, 22,000 perennials, ferns, and grasses and 64,000 bulbs. 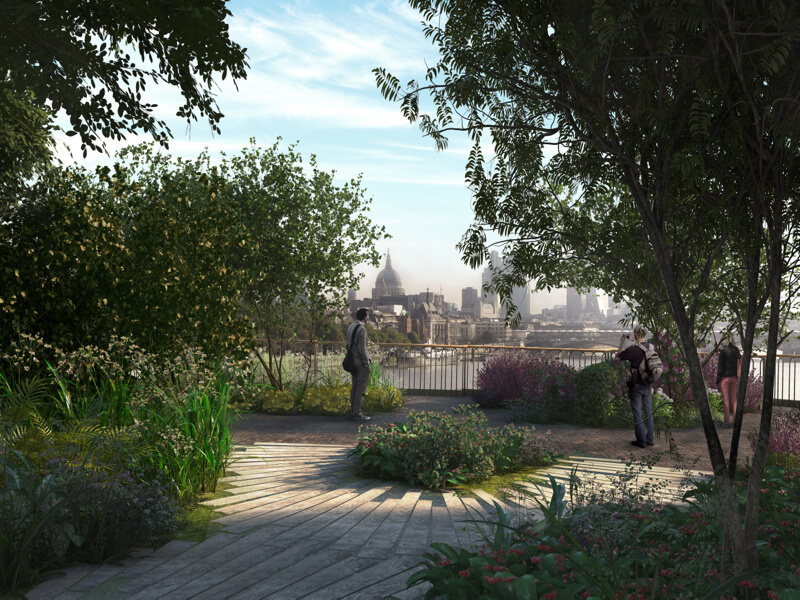 Embodying London’s horticultural history, the man in charge of landscape design, Dan Pearson, will divide it into five distinct areas including wild marshlands and ornamental gardens—open to visitors and residents. Integrating nature into the concrete jungle is a great way to make cities more livable, to allow a brief escape from the bustle. New York City’s High Line park, built on a defunct elevated rail line, is another good example. And in the future, perhaps we’ll see greenways go vertical, from vertical farms to vertical forests. 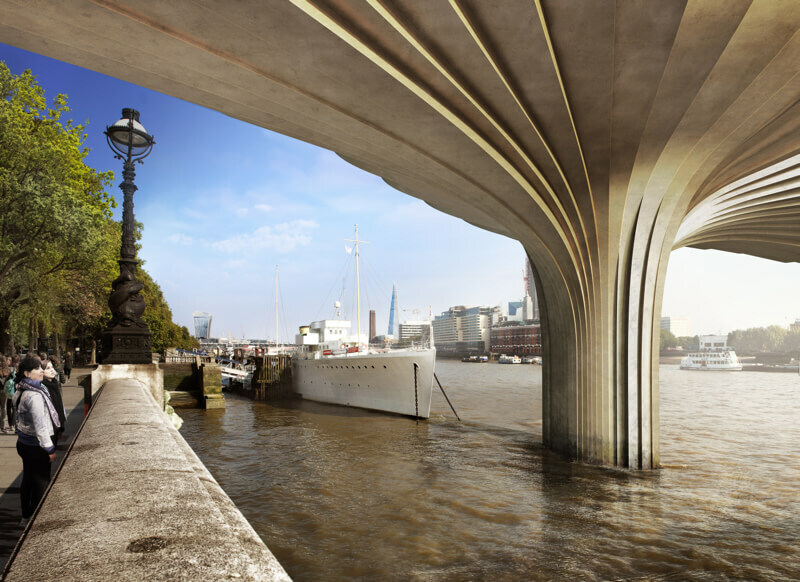 In any case, enjoy these sketches of London’s newest (planned) bridge.